I'LL BE HELPING YOU IN SPANISH! Contact me if you need any assistance. 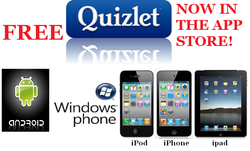 QUIZLET IS NOW AVAILABLE IN THE APP STORE!